A Ford GT Gulf Heritage Edition sold for an incredible $2.5 million at Barrett-Jackson Scottsdale last week, with all proceeds from the record-breaking sale benefitting the United Way for Southeastern Michigan. 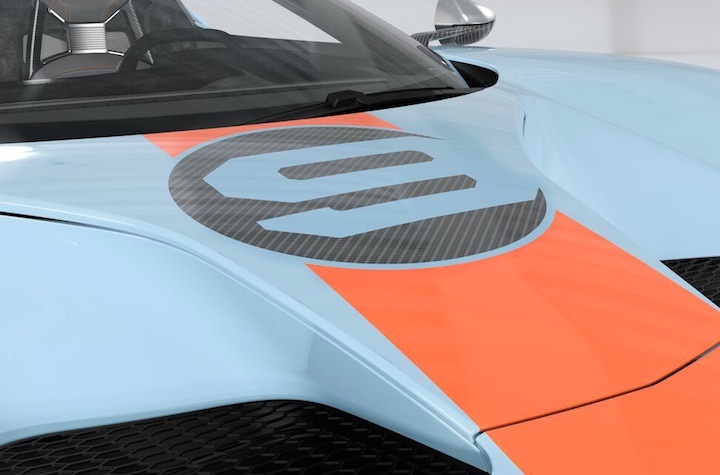 The Ford GT, which was VIN 001 for the 2019 model year, features a blue and orange livery inspired by the Gulf Oil sponsored Ford GT40 that won the 24 Hours of Le Mans in 1968 and 1969. The only post-war car to win the race back-to-back, the Gulf-sponsored GT40s are cemented in motorsports lore and are among the most iconic race cars of all time. In addition to the blue and orange ‘No. 9’ color scheme, this Ford GT Heritage Edition also has exposed carbon fiber exterior accents, 20-inch one piece forged aluminum wheels, orange brake calipers and silver mirror caps. The interior is set apart with Alcantara trim, contrasting blue stitching, embossed seats inspired by the original Le Mans winning GT40, high gloss stainless accents, exposed matte carbon-fiber door sills and a serialized identification plaque. Apart from these cosmetic changes, the Ford GT Heritage Edition is unchanged from the standard version of the supercar. It has the same 650 hp 3.5-liter twin-turbocharged V6 in the back, which sends power to the rear wheels through a seven-speed dual clutch transmission. The Ford GT can accelerate from 0-60 mph in 3.0s and reach a top speed of 216 mph thanks to its ultra slippery exterior. 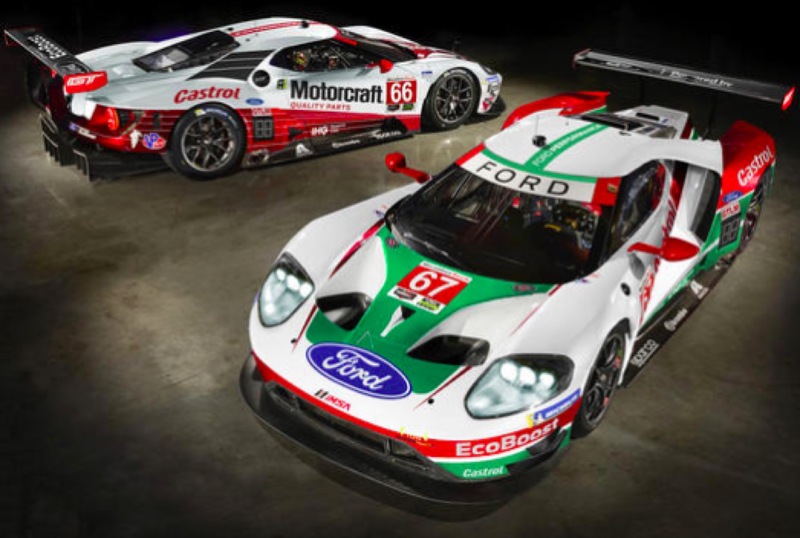 Two Ford GT GTLM race cars will contest the 24 Hours of Daytona this weekend in retro-themed throwback liveries. One of the cars will be sporting a Motorcraft paint scheme, while another will have Castrol’s iconic white, red and green colors applied to it. Who knows? If one of these cars wins the race, you might even see Ford slap these retro liveries on a road-going Ford GT Heritage Edition. Now that would be seriously cool.